For the first 208 games of his NHL career, Saad had the luxury of skating alongside one of the game’s most intense competitors, a player that could deliver a huge hit and a huge goal all in one night’s work. Before signing up for his second tenure with the Blackhawks, the left-winger spent 160 games as a member of the Columbus Blue Jackets seeing the veteran blueliner through a much different lens. No matter what the uniform, Saad has plenty of praise for Seabrook. Since breaking into the NHL in 2005-06, Seabrook, the 14th overall pick of the Blackhawks in 2003, has been a reliable presence as a member of Chicago’s defensive corps. A three-time Stanley Cup champion, the British Columbia native has 406 career points, including 88 goals, in 923 regular season games. His plus-minus rating stands at plus-119 entering the 2017-18 campaign. If all goes to plan, Seabrook will hit the 1,000-game mark late in the season. Seabrook also happens to have a knack for being great in playoff overtime games. He netted a pair of extra-frame tallies in the 2013 Stanley Cup Playoffs – one against the Detroit Red Wings, the other coming against the Boston Bruins – along with another (in the third overtime period) in Game 4 of Chicago’s Western Conference quarterfinal series versus Nashville. 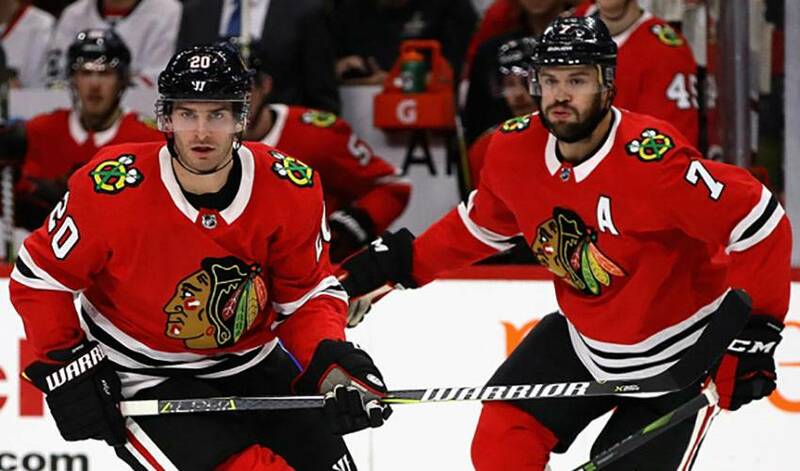 Beyond the overtime heroics, booming shots and bone-crunching body checks, Seabrook, who won a gold medal with Team Canada at the 2010 Winter Olympics, is also a respected teammate. Just not so easy to play against. Brent Seabrook scored the winner in the third overtime on Tuesday night to claim the Playoff Performer of the Night crown!